Commercial RO has become a famous name over the time. Everyone has become aware of the need to install a water purifying system. However, even though people know the importance of the water purifier, they don’t seem to welcome the option in their lives. Some of them are still stuck to the old age way of water purification. They still think that boiling water can kill the germ. However, this is a wrong concept. To kill the germs that water carries, you need more than fire. 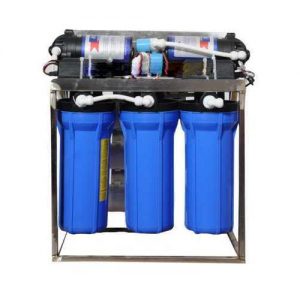 Commercial RO Systems are made to purify water. These systems come with ultra purification systems which kills germs like chlorine and arsenic. These elements cannot be seen with naked eyes. This is the reason, people don’t get to understand that they are drinking contaminated water. The Water Purifiers which you get here are created to make water pure and drinkable. The systems are integrated with high quality purification systems which purifies water through UV ray. It does not matter how serious or dangerous the germ is – the purification system makes it a point to kill them all and offer you pure and clean water. Commercial RO Water Purifier can be the best thing you give to yourself and to your family. This is the only solution which can protect your from poisonous water. This is why – without hesitation you need to install a water purification system at your home. We have gained high reputation in the commercial RO market. We pride ourselves in selling only the high quality water purification systems. We make sure to create the best in our Commercial RO Plant. Our expertise has made us one of the best in the market. Also, the people value our product because, we don’t compromise with quality. This is because, we know that water purification system is an important part of people’s life.